The Trump administration has unveiled its vision for the federal budget — and that vision involves slashing more than $1 trillion from programs that aid low-income Americans so as to finance massive tax cuts for the very rich. The president’s budget cuts funding for Medicaid, the Children’s Health Insurance Program, benefits to the disabled, nutritional assistance, and loan subsidies for non-affluent college students, while abolishing the tax on inherited estates worth over $5.3 million and radically reducing the tax rates on capital gains and income paid by the wealthiest people in America. Granted, the premises that inform these beliefs are likely based in libertarian delusions about the nature of property and the state. But still: If the Trump administration argued that the government’s role was to promote laissez-faire eugenics by rewarding the strong and punishing the weak, then its budget would be a coherent expression of its values. 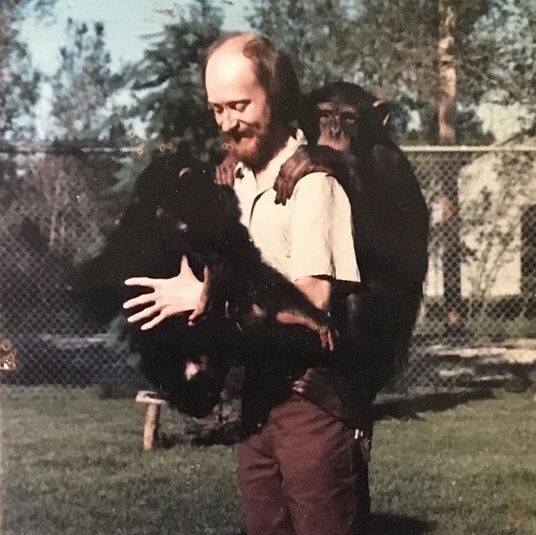 But in a democratic society, such forthright endorsements of social Darwinism don’t sell. And in post-financial-crisis America, subtle ones don’t either: Last year, Paul Ryan was forced to apologize for saying that America was divided between makers and takers, while a reality star who promised to protect entitlements, condemned traitorous elites, and extolled the virtues of the “forgotten man” became the GOP standard-bearer. So, when Mick Mulvaney defended the administration’s budget on Monday, he did so in utilitarian terms. “We’re not going to measure our success by how much money we spend, but by how many people we actually help,” the director of the Office of Management and Budget explained. The notion that one can achieve the greatest good for the greatest number by redistributing resources from the many to the few is bizarre, but widespread. The Trump budget reflects the longstanding premise of American conservative economic thought: Government assistance to the poor perpetuates poverty by increasing dependence; slashing taxes increases productivity, efficiency, and economic growth; and economic growth will do far more to improve the lot of the poor than government handouts ever could. There was never much empirical support for these ideas. But when America’s top marginal rate was 70 percent and our welfare system had yet to be “reformed” — which is to say, when Ronald Reagan was elected — they had a patina of plausibility. An overwhelming body of research has established that government transfers from rich to poor effectively reduce poverty, while regressive tax cuts do not reliably spur economic growth. By themselves, these findings would be damning enough to the conservative project. But new research also suggests that well-designed social-welfare programs don’t merely alleviate the deprivations of the vulnerable — they also increase productivity and entrepreneurship. Which is to say: Government handouts generate the economic benefits that conservatives attribute to regressive tax cuts. Here’s a quick review of recent findings from economic research that demonstrate the Trump budget’s intellectual bankruptcy. The War on Poverty worked. Our estimates … show that historical trends in poverty have been more favorable — and that government programs have played a larger role — than [previous] estimates suggest … Government programs today are cutting poverty nearly in half (from 29% to 16%) while in 1967 they only cut poverty by about one percentage point. The Great Society did not fail to eliminate poverty because welfare programs backfire by breeding dependency — it failed because those programs weren’t generous enough. Regressive tax cuts do not reliably increase economic growth. At times, the administration has baldly lied about the distributive implications of its tax plan, with Steve Mnuchin insisting that the abolition of the Estate Tax and reductions to the rates on capital gains and income would somehow produce “no absolute tax cut for the upper class.” More often, the White House has dismissed the relevance of distributional concerns, insisting that returning trillions to the rich will produce a boom in productive investment that will benefit all. This is a bizarre proposition, given that American corporations and high-net-worth individuals are already sitting on large stockpiles of cash — which the former have been reluctant to invest in new enterprises, and the latter have largely plowed into bidding up the price of desirable real-estate. But it’s also bizarre since we’ve run this experiment before, many times, on both the state and federal levels. And it doesn’t work. In 2012, economists Michael Ettlinger and Michael Linden sought to measure the efficacy of the “supply-side” tax policies pursued under Bush and Reagan, by comparing America’s economic performance in the wake of each president’s tax cut, against its performance in the wake of Bill Clinton’s 1993 tax increase. “Since the 1993 tax increases were passed 10 quarters into an economic expansion, we compared performance for all three eras starting 10 quarters into their respective expansions, and then going forward five years from that point, or — in the case of the 2000s — until the expansion ended in December of 2007,” the researchers explained. This analysis found that during the supply-side expansions, growth in investment, productivity, employment, middle-class income, and the overall economy were all weaker than they were following Clinton’s “job-killing” tax hike. 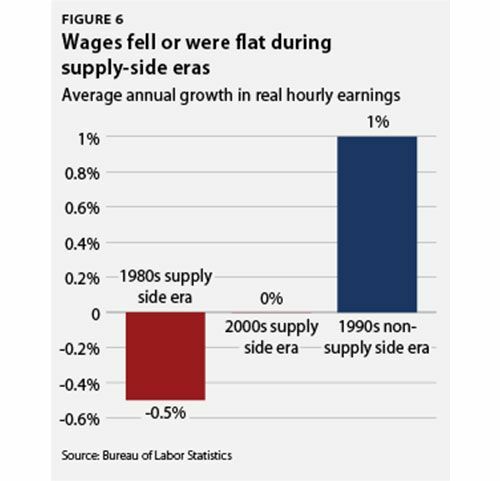 What’s more, during Reagan’s supply-side expansion, hourly wages actually fell. This is not a perfect experiment. A real-world economy is full of uncontrolled variables. But when this formula has been tried on the state level — in Kansas, Louisiana, Alabama, Maine, Montana, North Carolina, and Ohio — the results have been lackluster, at best. Income inequality stymies economic growth. The best way to (in Barack Obama’s 2008 words to Joe the Plumber) “spread the wealth around,” is … “to leave it in the hands of the wealthy.” Personal consumption absorbs a small portion of their money and the remainder is not idle. It is invested by them, using the skill that earned it. Will it be more beneficially employed by the political class of a confiscatory government? The idea that the wealthy possess unique insights that make them better arbiters of how money should be invested than pointy-headed bureaucrats can be refuted with three words: Donald J. Trump. High inequality has also been linked to adverse health outcomes for the poor, declines in the responsiveness of democratic government, and the erosion of social trust. Government handouts promote self-sufficiency and strong families. 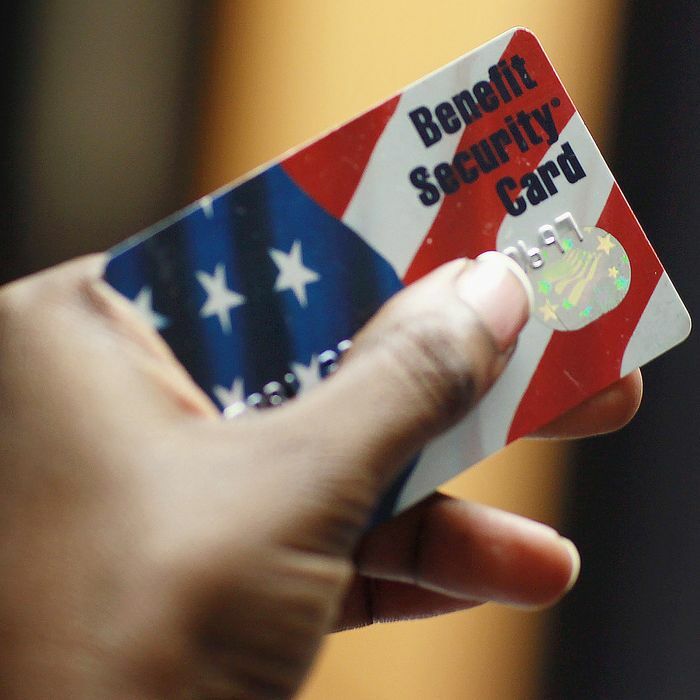 The Trump budget cuts $192 billion from food stamps, and enables states to implement work requirements that would deny food assistance to the unemployed. Paul Ryan summarized the logic behind these reforms when he lamented that Democrats offer people “a full stomach and an empty soul.” By depriving the poor of the unique motivational power of malnutrition, conservatives reason, food stamps consign many of their beneficiaries to meaningless lives of soul-crushing parasitism. [T]he food stamp program was introduced gradually in the United States from 1961 to 1975. Hilary Hoynes of the University of California, Berkeley, Diane Whitmore Schanzenbach of Northwestern University and Douglas Almond of Columbia University have found that low-income children who benefited from the program were healthier and more likely to be working decades later than otherwise similar children in counties where the program arrived later. A separate 2015 study from the National Bureau of Economic Research found that direct, unconditional cash assistance to low-income families with small children was associated with higher educational attainment and employment rates for those children by age 25. Ironically, that study suggested that those handouts produced improved outcomes by fostering the very “family values” that Republicans often champion as poverty’s panacea: Greater family income correlates with decreased marital stress and increased parental involvement and supervision. Families that received unconditional cash payments, in NBER’s study, reported significantly better parent-child relationships than those who did not. It is true that some safety-net programs disincentive work. In some cases, this is irrelevant to the program’s purpose — Social Security might decrease the labor-force participation of septuagenarians, but that’s kind of the point. In other cases, as with unemployment insurance, the disincentive effect may be a genuine concern worth addressing through better policy design. But the idea that there is a strong correlation between government assistance, in the aggregate, and heightened rates of unemployment and dependence is a baseless myth. Anti-poverty spending increases productivity and entrepreneurship, and grows the supply side of the economy. A core tenet of the trickle-down gospel is that economic managers should focus on increasing the supply side of the economy: Rather than boosting demand by subsidizing the consumption of the poor and middle classes, the government should focus on increasing the nation’s productive capacity — and it should do that by freeing up investment capital through tax cuts. As we’ve seen, there’s little reason to think that works. But there are effective ways to increase supply: The expansion of the Earned Income Tax Credit in 1993 added 460,000 women to America’s labor force, according to Jeffrey Grogger of the University of Chicago. Child-care subsidies have (predictably) produced similar effects. And, as already mentioned, investments in cash, food, and educational assistance to low-income children in early childhood appear to add workers to tomorrow’s economy, thereby increasing America’s productive capacity and economic growth. Entrepreneurs are actually more likely than other Americans to receive public benefits, after accounting for income, as Harvard Business School’s Gareth Olds has documented. And in many cases, exanding benefit programs helps spur new business creation. Take food stamps. Conservatives have long argued that they breed dependence on government. In a 2014 paper, Olds examined the link between entrepreneurship and food stamps, and found that the expansion of the program in some states in the early 2000s increased the chance that newly eligible households would own an incorporated business by 16 percent. … In another paper, Olds looked at the creation of the Children’s Health Insurance Program (CHIP), which offers publicly funded health insurance for kids whose families don’t qualify for Medicaid. By comparing the rate of entrepreneurship of those who just barely qualified for CHIP to those whose incomes just barely exceeded the cutoff, he was able to estimate the program’s impact on new business creation. The rate of incorporated business ownership for those eligible households just below the cutoff was 31 percent greater than for similarly situated families that could not rely on CHIP to care for their children if they needed it…The mechanism in each case is the same: publicly funded insurance lowers the risk of starting a business, since entrepreneurs needn’t fear financial ruin.